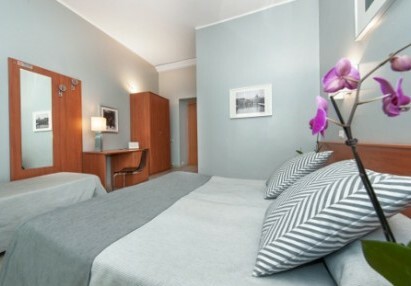 Hotel Roi recently renovated, is located in the area of San Giovanni, on the 2nd floor of a prestigious building facing on Re di Roma Square. It guarantee an easy access to the major touristic attraction of the Eternal City, thanks to the Metro station close to the Hotel and for multy line buses available in Re di Roma Square. With a pleasant walk it is easy reachable the majestic Basilica of San Giovanni in Laterano, the Colosseum and Via dei Fori Imperiali. Via Appia Nuova is the popular Roman Shopping street located a few minutes walk from the Hotel Roi, also the area is surrounded by restaurant, bars and places where is possible to taste the best Italian gelato. The guests can enjoy the typical Italian breakfast in their rooms to start a pleasant day with good coffee and fresh croissant. 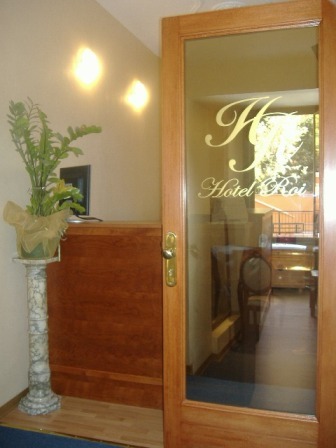 Comfort, quality and good service, are the best words to describe the Hotel Roi. The family management of this Hotel ensure an unforgettable and pleasant stay. The guests can enjoy the typical Italian breakfast in their rooms to start a pleasant day with good coffee and fresh croissant. Comfort, quality and good service, are the best words to describe the Hotel Roi. Rooms are located on the same floor. Some of them are facing the green Re di Roma square and some facing the quite courtyard. Available with king size bed or twin beds, some of the rooms have the availability of a 3rd bed. The rooms are all ensuite and provide air conditioning, Telephone, minibar, safe deposit and Tv. Soon will be available for all the guest the Wi-fi connection. Within few metro stops it is possible to reach Trevi Fountain, Spanish Steps, the Saint Peter Basilica and of course the Vatican Museums. to the Center of Roma.